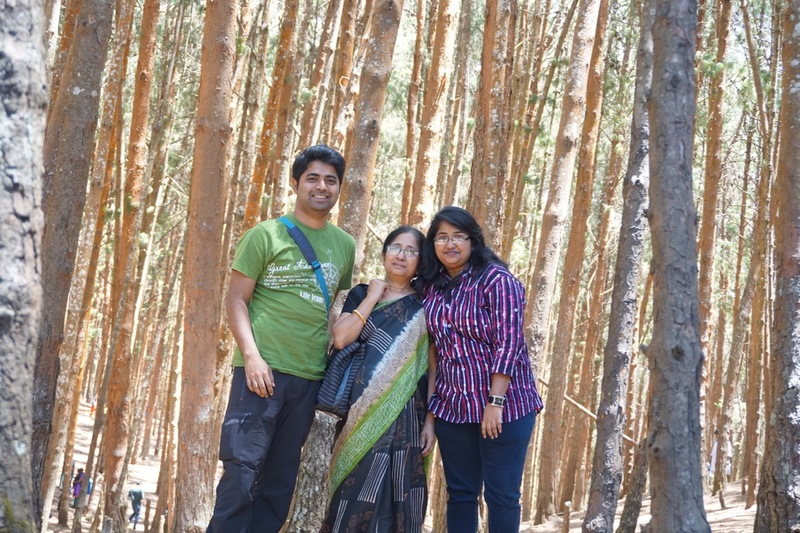 We hired a car for the entire day to roam around the forest. Our driver Prakash kept calling this trip ‘one-way’. I realised later that the trip was a round one-way trip. Maybe that’s why he called it so. 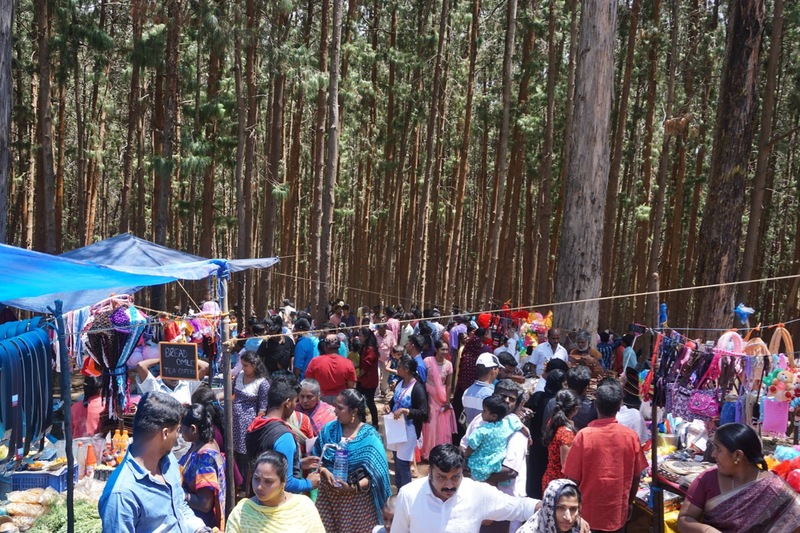 Since this is the tourist season and today being a weekend, a lot of tourists had flocked into Kodaikanal from the neighbouring cities and towns. This made driving through the narrow and congested roads very difficult for Prakash. Still, it wasn’t as bad as Bangalore roads after office hours. Prakash stopped at various designated spots. 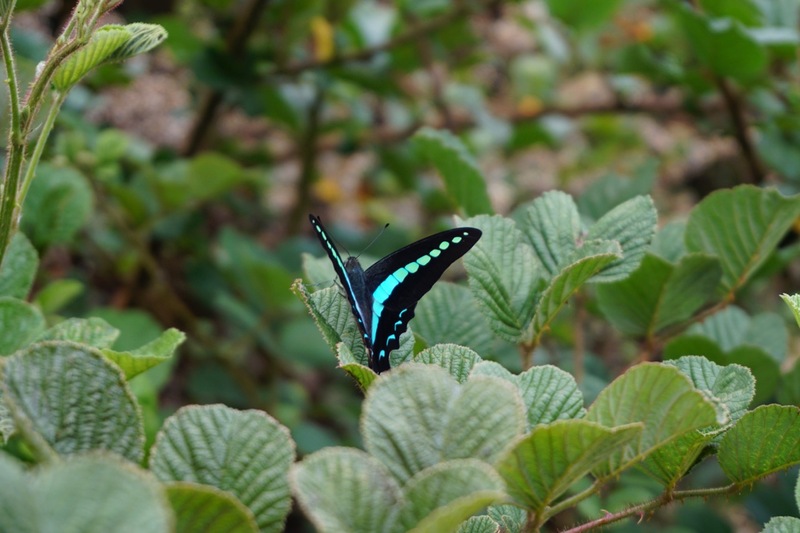 These spots are well marked by the forest department. 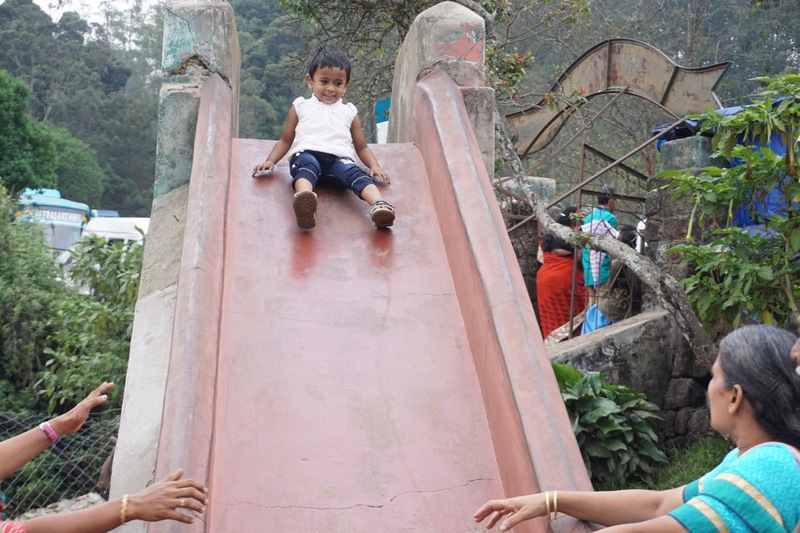 To tell the truth, Kodaikanal isn’t a place that has much historical or natural significance. Instead, it is well suited for a leisurely vacation. In fact, that’s exactly why this place was built. This is a pine forest that was used as a shooting spot for many movies. There is a marginal possibility that the number of people outnumbered the number of trees. We added to the crowd, too. 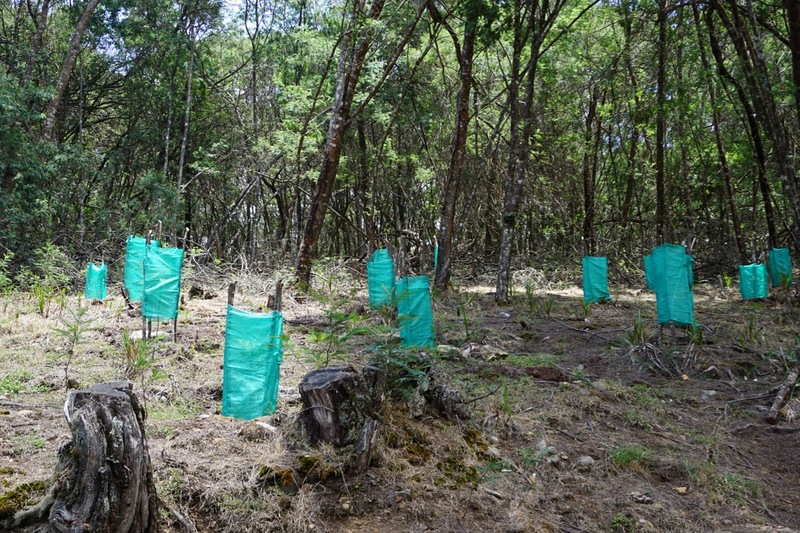 The forest department has planted a lot of new saplings along certain barren patches of land. This is to ensure that the trees outnumber the crowd in the future. This was a random lucky shot. This was not random, just a lucky shot. 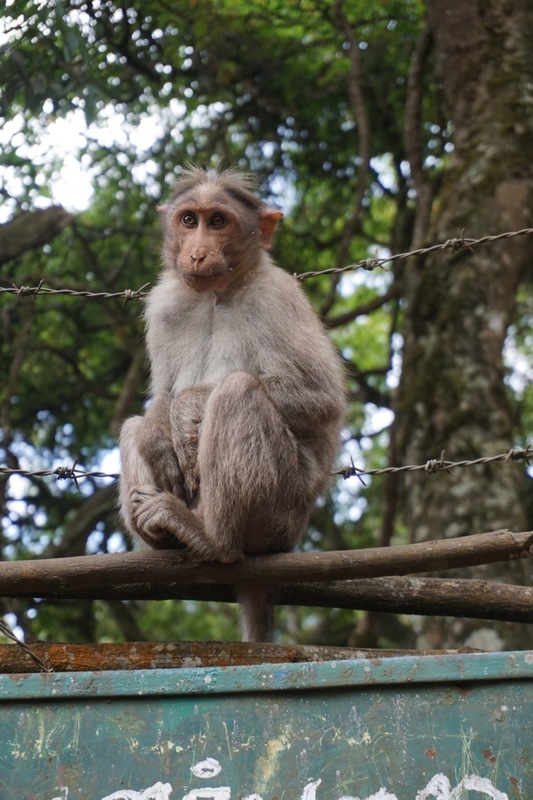 Near Gunaa caves, monkeys outnumbered people. Some of the monkeys looked like college students. 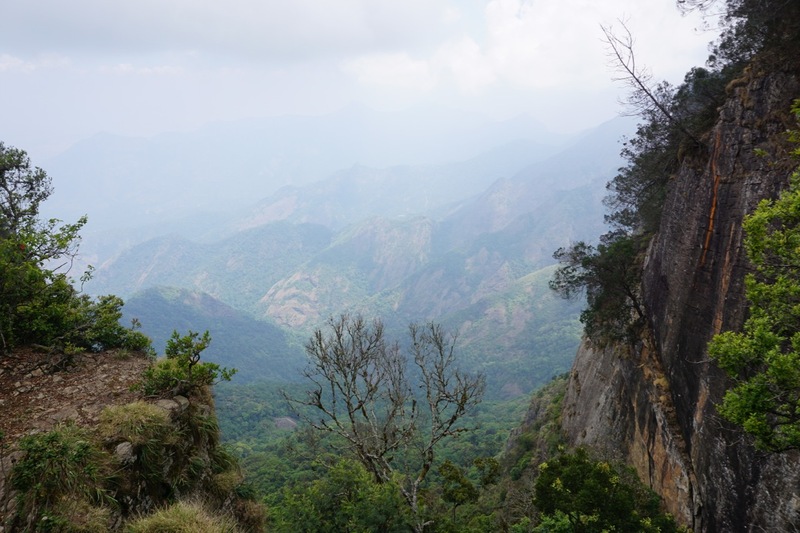 Kodai valley was visible from the elevated view point inside the Gunaa caves compound. Near the pillar rocks viewpoint a few kids had fun on a slide. 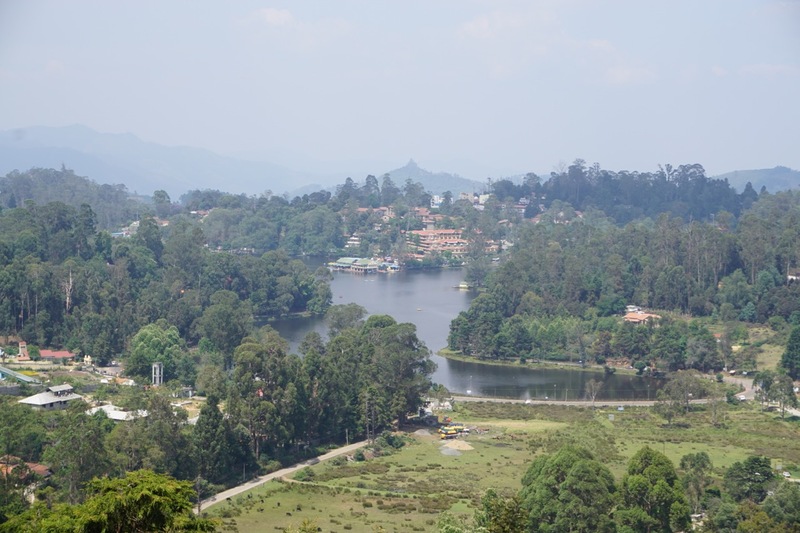 Upper Lake Road offers an unobstructed view of the Kodaikanal Lake. For 5 rupees, a person offers the lake’s view through telescope. He claimed that the distance was 8 kms. The map clearly shows that the aerial distance is actually 2 kms. There were two temples near our hotel. Our driver / guide took us there before dropping us at our hotel. 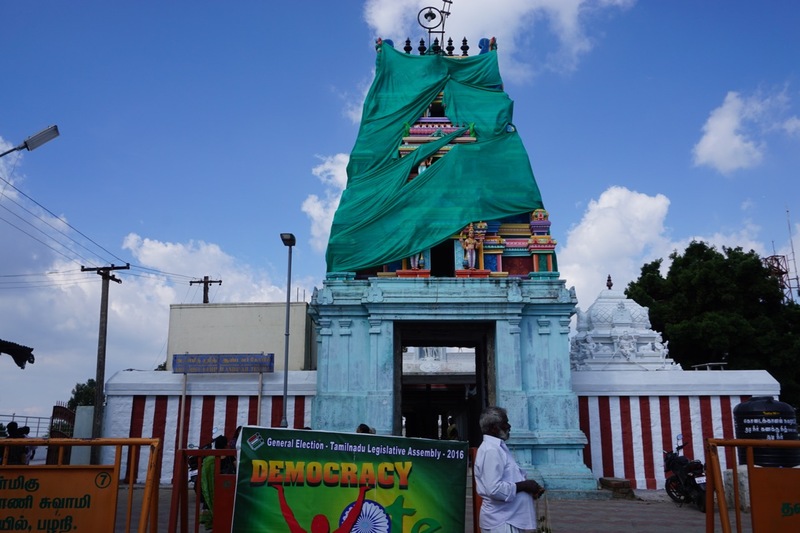 A Murugan temple dedicated to Kurinji flower. 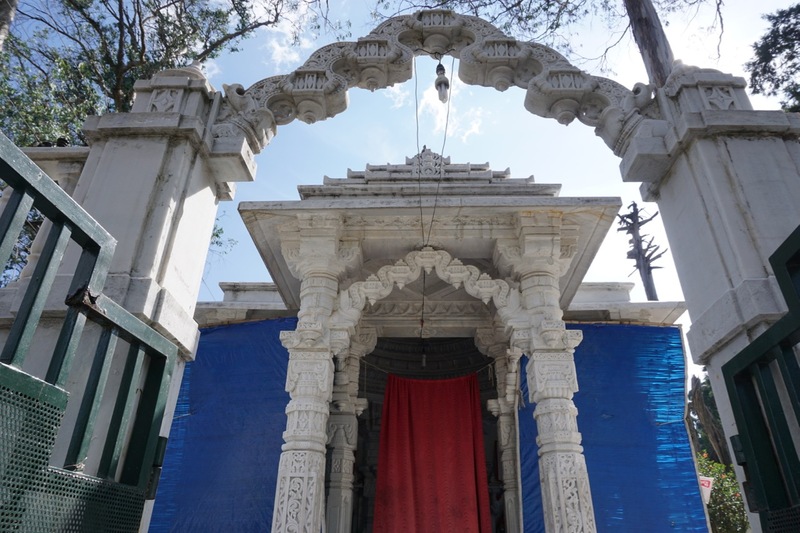 The actual temple is quite old but the supporting structure (shade) is pretty new. After a disappointing food trip yesterday, the complementary breakfast offered by the hotel was pretty good. Suspecting that I wouldn’t have anything good for lunch, I overstuffed myself with 1 idly, 3 vadas and 2 pooris. In the afternoon, Prakash took us to Astoria Veg, a big, pure vegetarian restaurant, right at the heart of Bazaar Road. It was so crowded that we abandoned the place and went inside a small hotel called Punjab Dhaba. It was run by a Bengali guy and the server was from Kharagpur. We had some paneer and chicken. The food was average. That guy must have trained himself from the Saharas and Dreamlands of Kharagpur. At night, we were left at the mercy of the hotel’s cook. The pepper chicken was peppery and the mixed veg curry was a piquant soup. But nothing compared to the entertainment the rotis gave us. 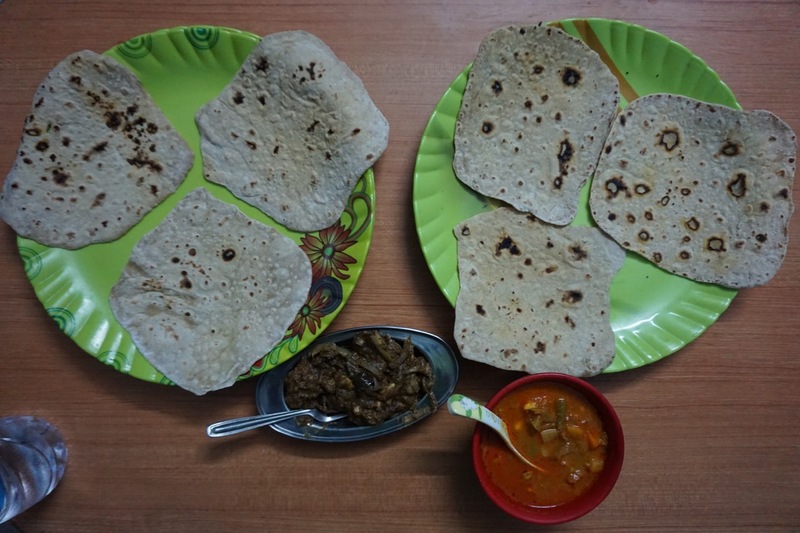 The profile shapes of the rotis were inspired by Kodaikanal’s terrain.